I’ve participated in lots of races. Mostly 5ks but I’ve done a 10k and a few half marathons. I thoroughly enjoy the entire race experience. There is excitement in all phases: when registering for the race, the packet pickup and the race itself. 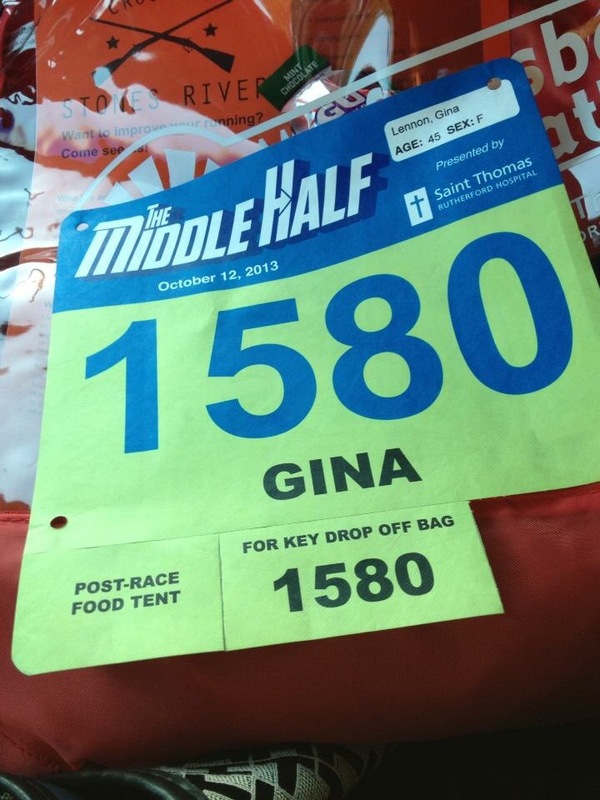 Some ask what my most memorable race has been and that is an easy one: My first half marathon, The Middle Half. This is a local race in my hometown in October each year. I excitedly registered for the race knowing it would sell out within a few hours. What have I done? I’ve only ran 5ks at this point and I’m a slow runner, so how would I manage this? My anxiety stemmed from the race time limit. I would need to be at mile 6 in 1.5 hours. I wasn’t sure if I could make it on time. What is they carted me off the course? I would die!!! I didn’t really have a running buddy at this time (I felt too slow to run with others for fear of holding them back). But I was a member of a Facebook running group that offered advice, friendship and the opportunity for group runs. So I printed out a training plan I found on the Internet. 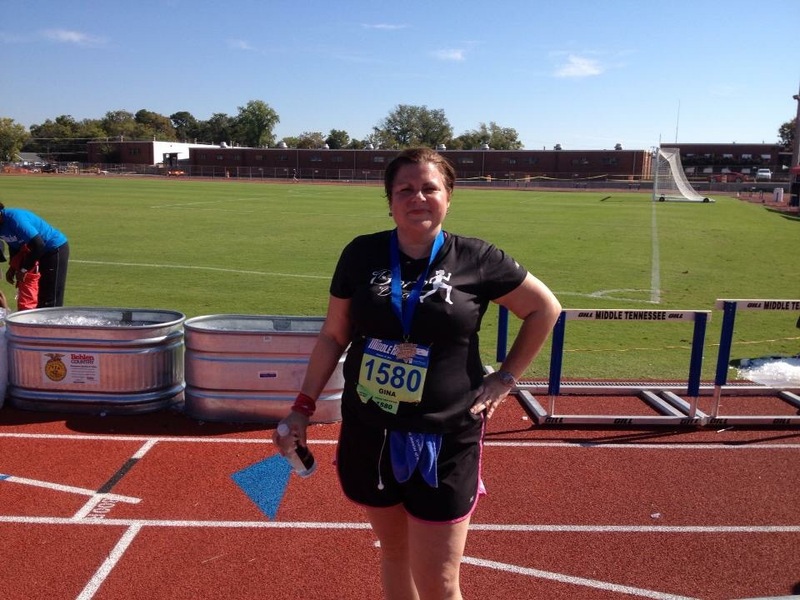 I began training even though I wasn’t sure how I’d ever run 13.1 miles! I continued on with my training through the summer heat in Tennessee and during training I noticed a sharp pain in my heel. After research and a visit to the doctor I found out it was Plantar Fasciitis. I don’t really have time for this!!! I started stretching more and even got a cortisone shot in my heel. Training became difficult. I just needed to get through this race! The longest training run I did was 10 miles and it was slow because of my heel pain. A friend ran with me on our greenway and I appreciate her so much because her pace is much faster than mine. But she stayed with me the entire time! Race day finally arrived and I was super excited. I’m up before daylight and arrived at the start line. I found friends in my running group for pictures and was ready!!!! I headed to the back of the pack (that’s where I stay) and was ready to accomplish this milestone. The race itself is kind of a blur. I remember being so worried about the race time limit that once I hit the 6 mile mark, I slowed down. A lot. Walked a lot. Then I hit the worst part of the course with no shade. 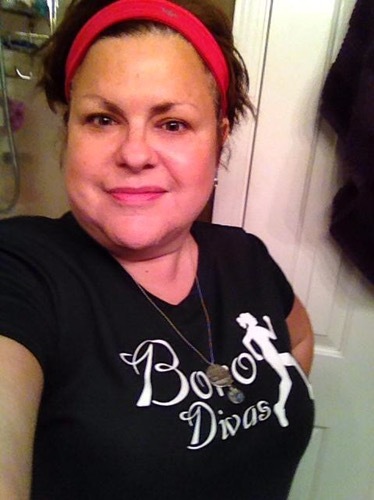 I tried to get back into the groove of running. At least a little. Once I got to mile 10, I felt the wall. I didn’t think I could make it. My heel was hurting, my hip started hurting and it was HOT! But I kept on. As I neared mile 11 or 12, a friend that finished the race walked out to meet me and run in with me. He helped me run/walk the last few miles. 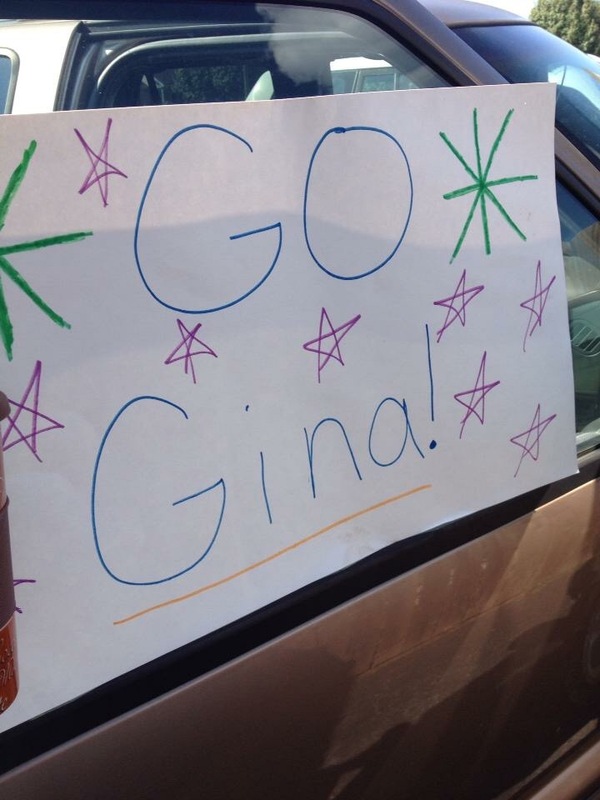 We ran from telephone pole to telephone pole until I saw my husband cheering for us close to the finish. I’m almost there. I couldn’t believe I was going to finish. I was hurting so bad and wanted to quit. But I didn’t. 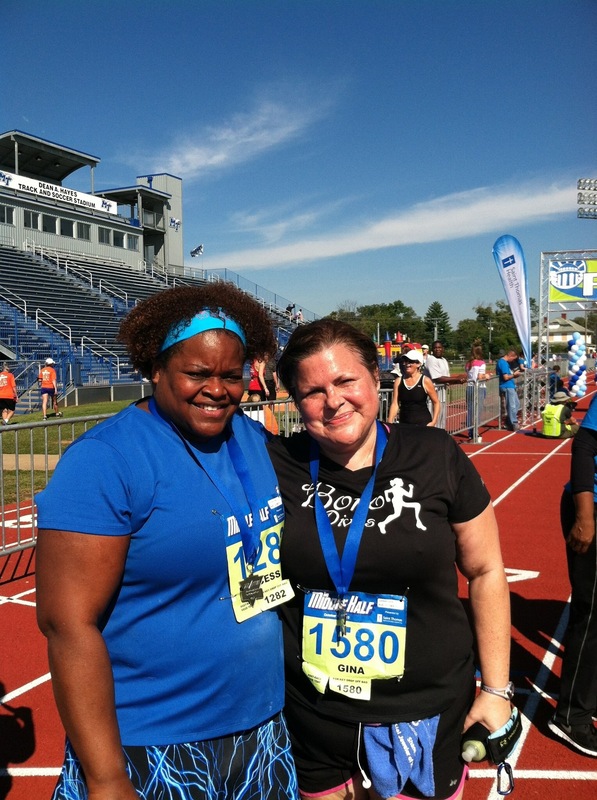 I was able to run across the finish line and get my medal from one of my dear friends. She knew my issues and my anxiety. I think we both cried! This race is my favorite because it was an eye opening day for me. I am a slow runner but I finished my first half marathon. I wasn’t last. The back of the pack isn’t so bad. 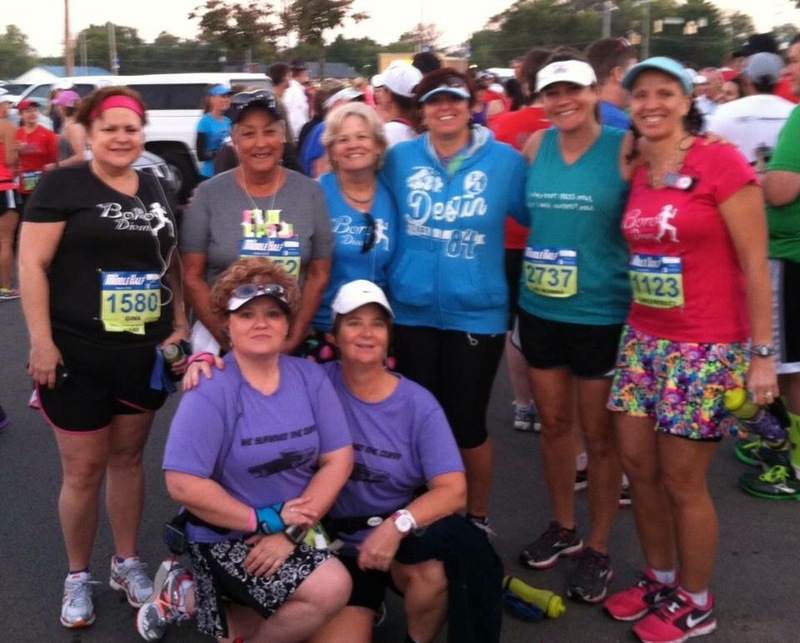 I did something I didn’t really believe I could do – until I did it! The feeling of this day has helped me in all areas of my life. After the race, I really believed I could do anything I set my mind to. And I still do!